The study followed all KPNC members, starting at the age of 10 years, who received the DTaP vaccine during infancy and early childhood. They limited the study population to those who were born in 1999 or later, after the vaccine components were changed or who were born in 1996-1998, but received 3 infant doses of the DTaP. Just for some background, the original DTP vaccine, sometimes called DTwP, became available in the USA in 1948 and was critical to dropping the number of cases of whooping cough from 260,000 in 1934 to less than a few thousand per year in the 1990′s. The original vaccine contained what was called “whole-cell” pertussis (thus wP nomenclature), which included all of the antigens of the pertussis bacterium, partially because it wasn’t understood (and to some extent still not fully understood) which antigens on the pertussis bacteria actually induced the proper adaptive immune response. Rare side effects of the available whole cell pertussis vaccines were noticed. Because of the safety concerns (some of which were overblown by the nascent anti-vaccination movement of the time), scientists began developing a more “purified” version of pertussis component called “acellular” (which constitutes the “a” portion of the vaccines used in the USA, DTaP for children and Tdap for adults). So in 1997, the Advisory Committee on Immunization Practices recommended the full switch from the whole-cell to acellular pertussis vaccine. Many patients were transitioned to the acellular version in 1991, and almost all children were immunized using the acellular version by 1999. To keep the data focused on the “new” version of the vaccine, Klein et al. made certain all subjects of the study only received the aP version of the vaccine. 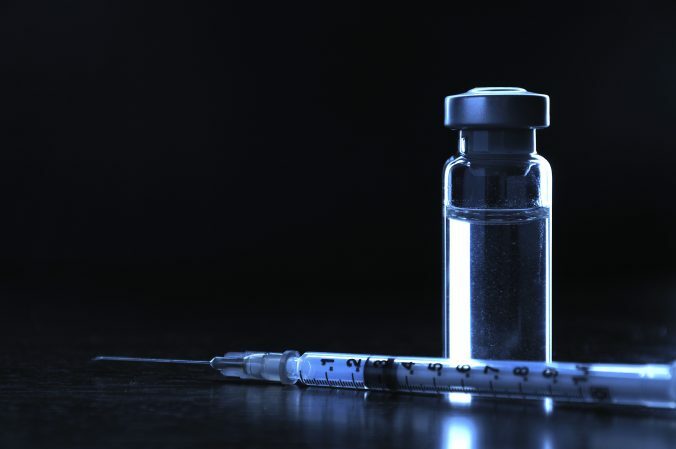 Examining medical records from January 2006 to March 2015, Klein’s team followed nearly 250,000 children, a very large cohort, who had only received the acellular version of the vaccine in infancy and childhood. The researchers started tracking the children from age 10, the earliest age for the Tdap booster. By age 14, approximately 97% of the children had received the booster. 0.5% of those cases occurred in teens aged 17-19 who received the whole cell version of the pertussis vaccine. 85% of the cases occurred in 10-13 year olds. 15% of the cases occurred in 14-16 year olds. In other words, the vast majority of whooping cough cases occurred in children who only received the acellular version of the vaccine. The research clearly shows that during recent outbreaks of whooping cough (in 2010 and 2014) the weaker effectiveness of the acellular vaccine contributed to the outbreaks. The data wasn’t all bad. During the first year after vaccination, Tdap was approximately 69% effective in preventing the disease, dropping to 57% after the second year. But then the effectiveness drops quickly. It falls to 25% in the third year, and 9% in the fourth year. That’s not good. Klein et al. calculated that the risk of pertussis in children increased by 35% each year after getting the booster. Unfortunately, contrary to evidence that showed pertussis cases to be milder in vaccinated children, the researchers found that the severity of the disease did not differ between vaccinated and unvaccinated children. Despite what appears to be unmitigated bad news about the pertussis vaccine, this study does not imply that we should give up on the pertussis vaccine. That would be a ridiculously illogical conclusion based on this data. The vaccine’s effectiveness does drop, but it still prevents whooping cough in well over half of children during the first two years after the booster. Whooping cough is a serious disease with serious complications, so preventing it in most children is critically important. The study also reinforces the importance of the vaccine for pregnant women. In fact, the effectiveness of the vaccine is so high, as a result of maternal antibodies crossing the placental barrier, that it provides newborns with sufficient protection to make it to their first round of vaccines, generally around 2 months of age. The vaccine is still extremely safe. In other words, the Tdap vaccine is so safe, that its benefits, even if they’re not as good as hoped, far exceeds any risks. A highly vaccinated population may reduce the circulation of the bacteria. I want to emphasize one point for anyone thinking that the vaccine is worthless – it still protects children. First of all, this is how real science works. It asks a question, is there really data that supports the observation of pertussis vaccine waning effectiveness? And by using detailed epidemiological data, the study answered with a qualified yes. And this research indicates that we need a better version of the pertussis vaccine, something that has been understood for years. The acellular vaccine has challenges, but it’s far from imperfect – I think that this research indicates that the vaccine is imperfectly effective, but it still provides protection for a couple of years. Since a new vaccine might take a decade of research to develop, in the meantime, we should adjust the schedule of pertussis vaccines for children, which probably should include more frequent boosters. Unless you fall for the Nirvana fallacy, that is, because the vaccine isn’t 100% effective, it’s crap, the vaccine is still very effective in preventing outbreaks of pertussis, as long as we understand that we might have to do more frequent boosters. The pertussis vaccine still saves lives. But thanks to scientific research, we have a pretty good idea what we need to do to make it better. Note: there are several other good reviews of this article, but Tara Haelle’s article in Forbes is particularly good at making similar points that I made.